When it comes to your insurance licensing test, make sure your insurance exam prep is the best. America’s Professor offers the most comprehensive self-study insurance pre-licensing courses—online, on video, and right on target for your goal. We can’t stress this point enough. Skimming material or memorizing practice exam questions is no substitute for the comprehensive, in-depth knowledge you’ll need to pass your insurance licensing exam. Whether you’re going for a property and casualty insurance license or a life and health license, these exams are designed to be challenging and to throw you off. Why? Most insurance licensing exams are written by third-party companies that have an incentive to make the exams tricky—the more times you have to take the test, the more money they make. This is why it’s so critical to enroll in a comprehensive pre-licensing course, like those offered by AP, so you’ll be completely prepared for any and all test questions they send your way. Our insurance education combines in-depth online video lectures with an easy to read textbook and access to our online test question bank. Courses average 20-23 hours of teaching time to help you learn all you need to know and thoroughly absorb the information. We also offer insurance practice exams if you are just looking to review before the big test. Be sure to check your state page for available products! We are America’s best provider of insurance exam prep for Life, Accident and Health, Sickness, Disability, Property and Casualty, and Personal Lines insurance. You can complete America’s Professor online courses at your own pace from home or the office. 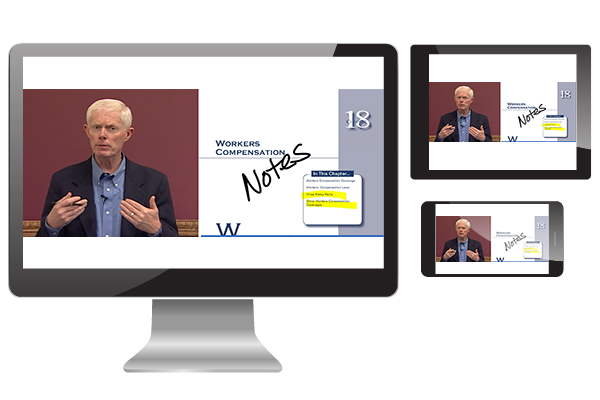 Simply pause the video to take notes or a break. Repeat any lecture at any time if you feel you have missed something. You are in control of your learning experience at America’s Professor! America’s Professor is in the business of teaching students the material, not the test. We’ve found that when you REALLY know the information on the Test Center’s Test Content Outline (TCO), you are able to work through the complications of tricky questions and actually pass the exam. Thousands of graduates of our program have done exactly that: passed. See How We Teach and experience an America’s Professor lecture! – Jack highlights the book and teaches the topics you really need to know for the insurance license exam. – Examples are provided on a whiteboard to clarify difficult concepts, helping you commit them to memory. – You have the ability to replay the videos and reattempt the review questions as often as you like during your subscription period. – Our low-cost AP courses give you the same great education as a live on-location course, but save you time and the expense of traveling. – The user-friendly system gives you control of your learning pace. – AP’s comprehensive textbooks are continuously updated to provide you with the material that matters most to passing the insurance licensing exam. – Our easy-to-read content is presented in a format that allows the material to flow smoothly. – We provide numerous real-world examples that clearly explain tricky topics. – Our “Test Tips” point out the key elements in each chapter. – Over 700 quality insurance license exam prep questions will fully prepare you for the licensing exam. – Get question feedback and rationale on the really tricky questions. – Review quizzes after each chapter help to reinforce the chapter videos and textbook. – Comprehensive section review quizzes provide unlimited review before the big exam and show you which areas you need to study. Our knowledgeable customer support team goes above and beyond to answer all of your questions and address your needs. Have a question about what material will be covered on your exam? Give us a call. Need an extension on your subscription or a replacement textbook? Let us know, and we’ll get on it. Your success and satisfaction is our priority, and it shows in our customer reviews. You’ve done the work—you should get the credit! Our courses are approved for up to 3 transferable university credits. See the details here. Join the community of students who enjoy our ongoing blog posts. They’re a good source of useful information and interesting commentary. Jack has been preparing students for the insurance exam for over 35 years. He is driven by the goal of providing engaging, informative, and targeted material to help people pass their insurance license exams the first time. Jack has a uniquely strong background in teaching law and insurance. He is known for explaining complicated law material in an easy to understand manner and with a real life perspective. Jack founded America’s Professor in an effort to expand the reach of the classes local students found so valuable. Since the advent of the website, thousands of students have passed their exams after taking our courses online. As you can see, there are so many reasons to study with America’s Professor! Our team is dedicated to providing our students with the most relevant material needed to pass their licensing exams. That’s because our goal is to help you pass your exam the first time. It’s never been a better time to become an insurance agent. Select your course to start your subscription today! Still not sure? See How We Teach and experience an America’s Professor lecture – or take a look at our testimonials!